NCFCA Lincoln-Douglas Release #33: “Why Freedom Fails” (OPP) (4/1/2019)- This OPP brief isn’t against the Negative value of freedom, per se, because I don’t know of any debater running that value. This brief is, however, against the concept of unbridled freedom that many Neg debaters embrace. The key arguments in this brief come from two great thinkers named Thomas Hobbes and John Nash. NCFCA Lincoln Douglas Release #32: “Res K” (OPP) (3/25/2019)- The basic flow of the case is this: fair trade corrects unfairness, government intervention (read: unfree trade) creates unfairness, so governments shouldn’t support unfree trade, so there’s no conflict. The point is that the entire conflict scenario of the resolution is wholly artificial, so we should reject the resolution as a whole. NCFCA Lincoln-Douglas Release #31: “Child Labor” (OPP) (3/18/2019)- Is there any way to combat the child labor argument? Fortunately, the answer is yes. In fact, there are several ways to take down this argument. This brief addresses some of those. NCFCA Lincoln-Douglas Release #30: “Fair Trade Ineffective” (NEG) (3/11/2019)- In this download author Nathaniel Arroyave lays out a negative brief on why fair trade is ineffective by addressing the inherent practical flaws within fair trade and Fairtrade’s setup itself. NCFCA Lincoln-Douglas Release #29: “Fair Trade Does Good” (AFF) (3/4/2019)- Fair Trade is based on the idea that farmers should be paid a wage proportional to the work and product they produce. One major sponsor of this on an international scale is the Fairtrade Foundation. In this brief, we’ll be discussing the benefits that Fairtrade incurs to the world at large as well as the farmers involved. NCFCA Lincoln-Douglas Release #28: “Fair Price Subjectivity” (2/25/2019)- This brief establishes “fair price” as necessary for fair trade, demonstrates its economic implications, provides contradictory economic theory and details the detrimental ramifications of assuming an objective fair price. NCFCA Lincoln-Douglas Release #27: “Purpose of Government” (OPP) (2/18/2019)- First, this brief establishes through several modes of proof that governments are required to respect rights, even the rights of non-citizens. Second, this brief acknowledges the difference between negative action (not violating rights) and positive action (actively protecting rights) and demonstrates that governments possess an obligation to do both. 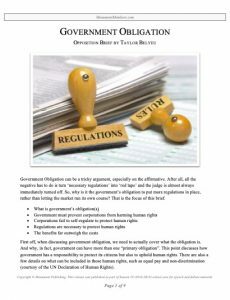 Third, this brief demonstrates how fair trade categorically protects rights, thus fulfilling the purpose of government. NCFCA Lincoln-Douglas Release #26: “Tariffs Are Bad” (OPP) (2/11/2019)- Shaylea uses tariffs to argue that fair trade is needed. This opposition brief disputes this argument, specifically the argument that tariffs are beneficial. There are several cards explaining why tariffs are harmful economic policy. NCFCA Lincoln-Douglas Release #25: “Tariffs Good” (OPP) (2/4/2019)- Tariffs are an example often used to illustrate how “unfair” fair trade is. Despite the claim that tariffs are harmful, the evidence shows that tariffs can have a positive impact. NCFCA Lincoln-Douglas Release #24: “Fair Trade Isn’t Fair” (NEG) (1/28/2019)- The following brief presents evidence from multiple sources suggesting that fair trade fails to provide long term benefits to the people it is supposed to help. NCFCA Lincoln-Douglas Release #23: “Practicality” (AFF) (1/21/2019)- The following evidence is intended to support two major arguments. First, in practice fair trade addresses the major issues that plague developing areas. Second, practicality should always be viewed from both the perspective of the consumer and that of the producer. NCFCA Lincoln-Douglas Release #22: “Sweatshops Are Good” (OPP) (1/14/2019)- Naomi argues that sweatshops are a threat to human dignity. This opposition brief proves that claim wrong. Cards 1-4 show how sweatshops are the best option for people in developing nations. NCFCA Lincoln-Douglas Release #21: “Coffee” (OPP) (1/7/2019)- This opp brief challenges one of the applications that Drew Magness wrote about coffee saying, "Fair Trade’s most well-known endeavor is in the coffee industry" This opposition brief challenges this argument, specifically that fair trade coffee is good. 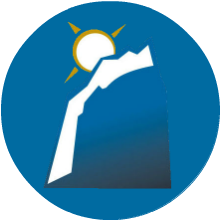 NCFCA Lincoln-Douglas Release #20: “Economic Development” (NEG) (12/17/2018)- This case uses a value of economic development. What’s really important are the two contentions; they’re full of evidence supporting the main thesis. NCFCA Lincoln-Douglas Release #19: “The Free Trade Lie” (AFF) (12/10/2018)- This is an aggressive contention-centric case that relies on solid analysis, concreate persuasion, and good numbers to win the debate round. While most affirmative cases right now are focused on a wonky definition of fair trade, or an idealistic value, this case takes the negative right where they want to go: the economy. NCFCA Lincoln-Douglas Release #18: “Consensus” (NEG) (12/3/2018)- This Negative case shows competitor's how to win on applications when their opponent brings up anecdotal examples and feel-good quotes, students want to be the one who shows the judge the truth. NCFCA Lincoln-Douglas Release #17: “Justice” (AFF) (11/26/2018)- The Negative will want to limit free trade to only nice and pretty and moral things. You want to show the morally bankrupt potential of free trade without the moral boundaries that fair trade offers. NCFCA Lincoln-Douglas Release #16: “Government Responsibility” (NEG) (11/19/2018)- The resolution explicitly mandates you debate within the confines of a government actor. This case attempts to leverage every implication of that. NCFCA Lincoln-Douglas Release #15: “Ethics” (AFF) (11/12/2018)- This affirmative case constructs the following premises: ethics is the highest goal, free trade is unrestricted, and fair trade is restricted for the purpose of ethics. NCFCA Lincoln-Douglas Release #14: “Peace” (NEG) (11/5/2018)- Not a huge fan of economics? Then this case is for you. It avoids looking at the resolution through an economic lens and instead considers the international political implications of fair trade versus free trade. Peace (the value) is the ultimate, foundational value that governments have a duty to promote. NCFCA Lincoln-Douglas Release #13: “Fair Trade is Not Impartial” (NEG) (10/29/2018)- This negative case will not reduce the debate to capitalism and socialism. Instead, we’re going to argue that valuing fair trade over free trade leads to inherent bias in the market. The destruction of justice and impartiality inevitably leads to a loss of economic growth and consumer trust. NCFCA Lincoln-Douglas Release #12: “Prosperity” (NEG) (10/22/2018)- In this negative case, you will make the argument that prosperity is best achieved (on a personal and a national level) through fair trade and a free market system. The value is prosperity and it is your job to defend the ethical and economic principles that prosperity achieves. NCFCA Lincoln-Douglas Release #11: “Human Dignity” (AFF) (10/15/2018)- This download is a LD affirmative case with two main applications; child labor in the cocoa industry and the sweatshops caused by the cheap clothing market. Each illustrates what happens when we allow unrestrained trade to promote profits over human dignity. NCFCA Lincoln-Douglas Release #10: “General Welfare” (NEG) (10/8/2018)- The negative side of this resolution has the unique opportunity to use nearly all the influential economists of history to support its side. This case sets up debaters to use this potential credibility to their advantage. NCFCA Lincoln-Douglas Release #09: “General Welfare” (AFF) (10/1/2018)- Fair Trade is an economic philosophy centered around helping those at the bottom of the production process. This case argues that fair trade provides guidelines for conditions and wages that increase the standards of living for workers who make the goods we use every-day. NCFCA Lincoln-Douglas Release #08: “Charity” (NEG) (9/24/2018)- This case takes the conventional understanding of free versus fair trade and turns it on its head. We typically see fair trade portrayed as extending a helping hand towards the poor, ensuring responsible production. Buying fair trade coffee almost feels like donating to charity. NCFCA Lincoln-Douglas Release #07: “Prosperity” (AFF) (9/17/2018)- This case tells the familiar story of a middle class that's dying at the hand of liberal economic policies. It takes its persuasive power from anecdotes that many judges can relate too. Your rhetoric doesn't need to be flashy; the narrative sells itself. NCFCA Lincoln-Douglas Release #06: “Property” (NEG) (9/10/2018)- The simple way to run this negative case is very straightforward. You set the table with your resolutional analysis, clear the table by emphasizing your value and then capitalize on the fact that your judge is personally affected by rising prices on restricted goods. NCFCA Lincoln-Douglas Release #05: “Quality of Life” (AFF) (9/3/2018)- This case aims to ensure that the affirmative has a moral high ground in the debate. The rhetoric specifically questions the ethical validity of a negative position, while suggesting that affirmative better takes in to account the well-being of all people. NCFCA Lincoln-Douglas Release #04: “Applications” (INFO) (8/27/2018)- This article is about applying the resolution to real life. When the judge receives your arguments, how will he compare them to what he has already seen and experienced? This article gives you the tools to ensure that you can persuade judges to your side. NCFCA Lincoln-Douglas Release #03: “Philosophies to the Resolution” (INFO) (8/20/2018)- Economics needs philosophy. To grapple with the crucial issues of the NCFCA LD resolution this year, you need to transcend the typical conception of economics and infuse it with philosophical understanding. This article equips you to do just that. NCFCA Lincoln-Douglas Release #02: “Strategies” (INFO) (8/13/2018)- This article will evaluate the factors of a conflict resolution, importance of a government actor, the meaning behind the ideologies of fair trade and free trade, and how to make a general case for each side of the resolution. NCFCA Lincoln-Douglas Release #01: “Resolution Overview” (INFO) (8/6/2018)- This article gives insight to this year's NCFCA Lincoln-Douglas resolution by giving your some basics on what competitors need to know about free trade, fair trade and economic analysis. 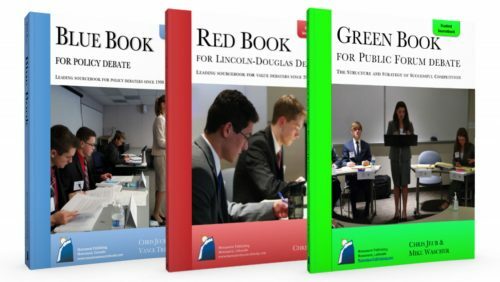 Preseason: Lincoln-Douglas Debate (6/10/2018)- This preseason document introduces you to the most exciting competitive event of Lincoln-Douglas Debate.This lesson gives students the structure, explanation and this year's Lincoln-Douglas resolution.